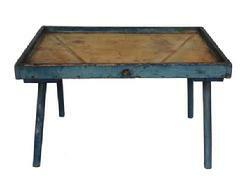 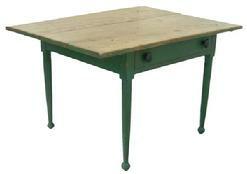 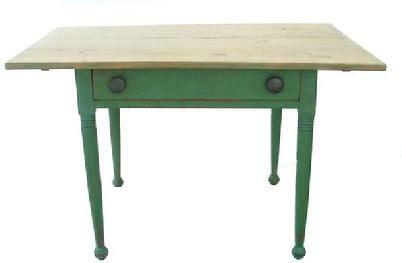 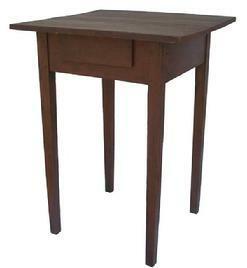 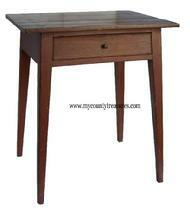 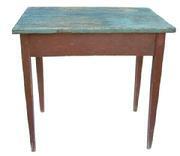 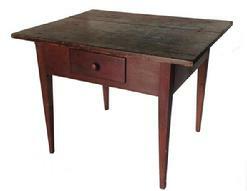 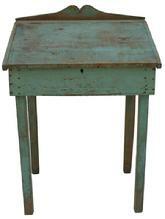 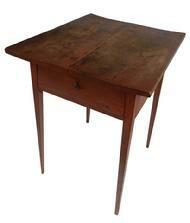 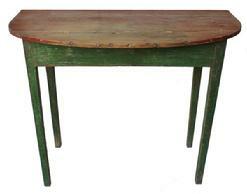 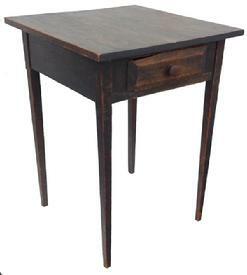 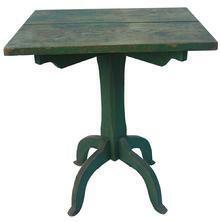 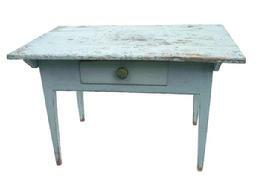 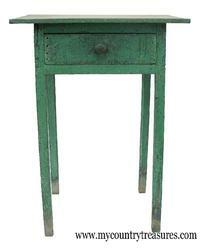 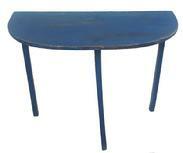 S313 19th century Eastern Shore Maryland painted Demi Loom Table with the original mustard paint, and a scrub top. 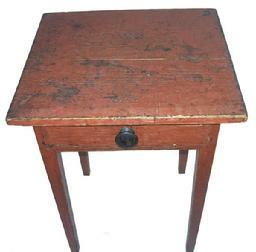 square head nail construction. 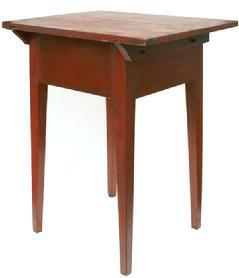 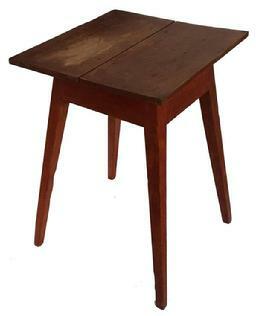 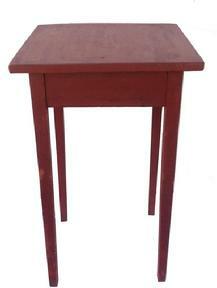 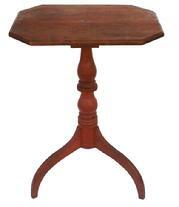 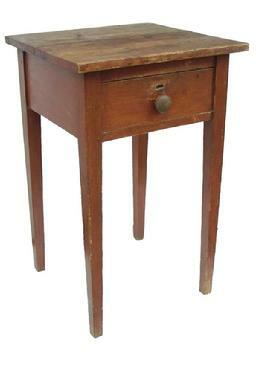 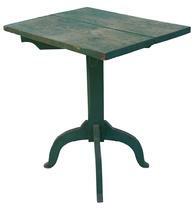 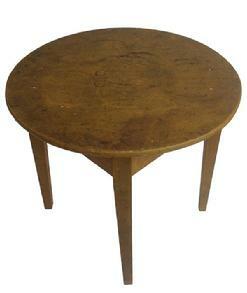 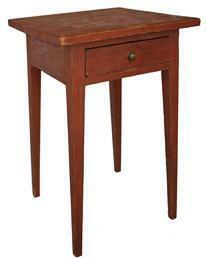 V114 Pennsylvania Country Hepplewhite Cherry Pin Top Work Stand with old red paint, circa. 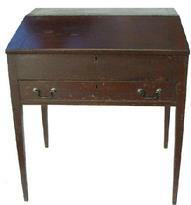 1790-1810. 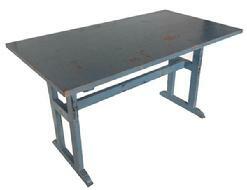 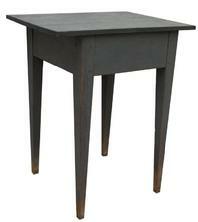 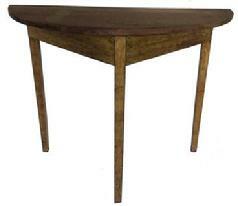 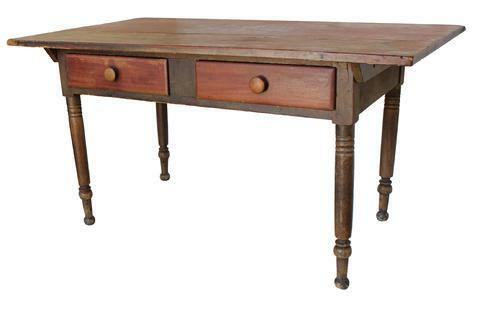 Two board top with beveled support boards pinned and pegged construction, deep skirt and tapered legs. 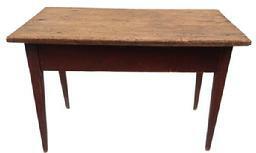 X362 Early 19th century Montgomery Alabama pine Huntboard, ( slab) two board top nailed with square head nails to the apron. 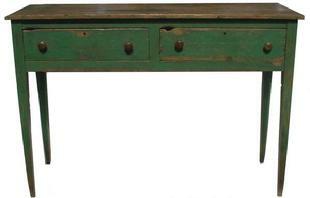 two dovetailed drawers, with original knobs.The drawers have a dust proof bottom which is very unusual. 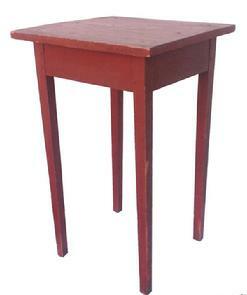 The tapered legs are joined to the apron by mortises �tenon joints and are pegged and nail construction. 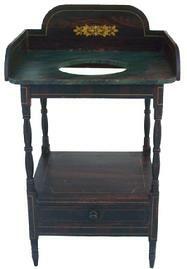 R172 Eastern Shore Delaware Candle stand, with the original green paint. 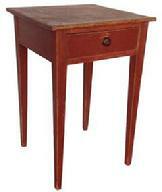 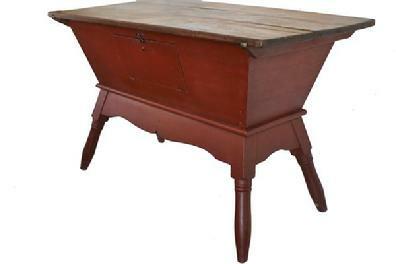 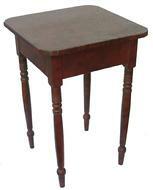 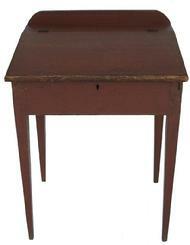 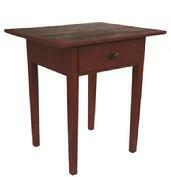 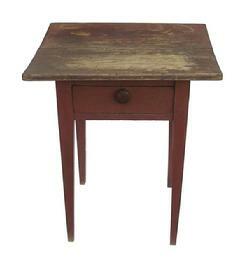 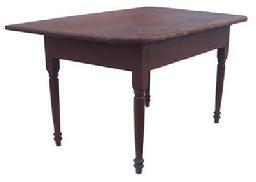 T448 19th century Southern splay legHepplewhite one drawer Stand, Beautiful dry red painted surface. 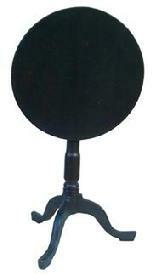 The drrawer is square head nailed, with the original knob.